Gamaliel urges careful deliberation before acting. It may be that they are worthy of death, but one must think about what the ramifications of another execution of a messianic pretender. He refers to two other “messianic pretenders” which gathered some following but eventually came to nothing. Each of these men are known from Josephus as rebels against Rome who had humble origins, developed a bit of a following, and were eventually killed. Theudas is known from Josephus (Antiq. 20.5.1 §97-98). In this passage, Theudas led a revolt during the reign of Fadus, A.D. 44-46. This is obviously a problem, since Gamaliel is giving this speech at least ten years before Theudas rebelled. For someone like Bruce Chilton, this makes the account in Acts anachronistic and unreliable, despite the fact that Gamaliel’s standing in the Council is consistent with other sources (ABD 2:904). This problem is usually explained by noting that the name Theudas is a common name in first century inscriptions. In addition, the period after the death of Herod the Great saw many rebellions, so it is likely that Gamaliel refers to a leader of one of these earlier rebellions. Judas the Galilean lead a tax-revolt about A.D. 6, described by Josephus (Antiq 18.1.6, §23). Like Theudas, he died and his followers dispersed. Gamaliel’s point here is to argue that recent history shows that if God was really behind any of these messianic movements, then their leaders would not have been executed. Perhaps there is a also a warning to Peter and his followers as well: If your leader is really dead, maybe you ought to stop this preaching. Christians tend to read this warning as directed at the Sadducees in the Sanhedrin: if you are wrong about this, you will be fighting God! To a certain extent, Gamaliel’s advice is “shrewd popular politics” which endorses neither side’s view of who Jesus was (Dunn, Beginning in Jerusalem, 174, n. 14). Gamaliel’s conclusion is that a messianic movement which is from human origin is doomed to fail; but if it is of divine origin it is destined to succeed. It would be better to let the disciples of Jesus do as they please rather than to “fight against God.” The examples given came to nothing, in both cases the leader was dead. If Jesus is dead, then his followers will disappear as well – but only if they are no longer persecuted. If the Sanhedrin continues to persecute and these men turn out to be from God, then they will be fighting against God. Why does Gamaliel give this advice to the Council? Is this, as Dunn says, simply “shrewd politics”? Or is there more to this story? I believe Gamaliel gave the advice to the council to say that if the council was right, if the council did not kill the Messiah, then the disciples were following Jesus falsely and will fail. So why not just let them continue? I believe that it was not shrewd politics, that Gamaliel recognized somehow that the disciples would succeed, that the council would be fighting God if they intervened by killing them–so he stopped it from happening. Some might argue that it is only a coincidence that Gamaliel stood up to defend them, under the appearance of being neutral and following “shrewd politics”, but I believe it was no coincidence. If Gamaliel stood up and defended the other false prophets he mentioned that have come before them, then I could see this as a regular occurrence. But the bible does not indicate that. I believe God used Gamaliel to fulfill part of his plan and to get the disciples out of that situation. There was a reason that Gamaliel was “honored by all the people.” (Acts 5:34) He seemed to be a very rational and level-headed man and also fair with the people. When Gamaliel spoke in the Sanhedrin in defense of the disciples, he may have been voicing more than “shrewd politics” but a desire for nonviolence. When the leaders in the Sanhedrin began to stir with anger, Gamaliel stepped in to calm the people down. Although his message was quite good, his original intentions may have been to simply distract the Sadducees and give them something to think about to divert their anger from the disciples. His choice to have the disciples put outside for a time, (Acts 5:34) was also a good decision that helped the leaders in the Sanhedrin calm down and think more clearly about the situation. In Acts 5:38, Gamaliel advices the counsel to leave the disciples alone. He tells them that, because the disciples are speaking the truth, the counsel is fighting against God, not the the disciples. I think Gamaliel gave his advice in effort to save the disciples lives. In verses 33 it says “they were furious, and wanted to put them to death”. Some interesting points are brought up in this blog. Although it is an interesting perspective, I don’t think what Gamaliel said was addressed at all to the disciples. They were specifically put outside before he spoke this defense to the Sanhedrin. Nevertheless it could have been just a political statement for the council to hear. But I like to think he was inspired by the Hold Spirit and spoke not of his own accord. This same thing happened to Annas, the father of the high priest, when they were going to crucify Jesus (John 11:49-51). It also sounds like he may have sincerely wanted the will of God to be done, knowing what was said of him after he died and his influence in keeping the word of God at such a high place in the lives of the people of his time. Whatever the case, it does seem that Gamaliel shrewdly placed himself into the conversation enough to make the council look bad if they ignored him, or look good from his reasoning. From his presence here in Acts 5:34, I would tend to believe that he believed that the apostles and disciples would not fail. It is duly noted on my part that the council listened to Gamaliel – which they likely would not have done if he had chosen to stand up for the two previous examples as well. It appears to me that God used Gamaliel well, and he was well rewarded by being remembered in Scripture, as part of how the Gospel began to spread. I also would argue that this is where people and churches can be very apathetic in our day and age – by arguing that things will succeed if they are from God, or fail if they are of man. Specifically I think of divorce, abortion, LGBT discussions, and the gradual loss of free speech. Would that then suggest that Christianity is then false, because it does not appear to be winning? Gamaliel’s reasoning should not be used then to defend apathy, but rather to use the time instead to act on discovering God’s will. Maybe Gamaliel was simply a politician, I would say we really do not know one way or the either. But God still used him. The same way God can use us, if we willing listen and obey – even if it is simply shrewd thinking to the world. I think it is important to note that Gamaliel was a respected teacher of the Law, which would have been both a religious and political role. While we as 21st century Christians may tend to think of that position in a negative light, in second-temple Judaism Gamaliel’s position would give credence to his opinion. But I don’t think that Gamaliel gave his opinion here lightly. It seems that, regardless of his own thoughts on who Jesus was, he had a desire for the truth to be known. If the truth was that Jesus was just another messianic pretender, then so be it. But if Jesus was indeed who He said He was, then Gamaliel thought it important not to try to hide that. As a teacher of the Law, it is fitting that Gamaliel would have a high enough view of God that he thought God capable of preserving truth, even in the light of a would-be Messiah. This is along the same lines of how we think of Scripture today, being preserved and passed down for two thousand years and yet we are confident that God’s inspired Word is still just as infallible now as it was when it was written. If the disciples of Jesus were right, Gamaliel wisely advised that no Jewish leader should dare fight against them. But if the disciples were wrong, they would dissolve on their own. Either way, Gamaliel understood that *someone* was right in their view, and the other group could be guilty of blasphemy for rejecting His messengers, so it was best for everyone if the religious leaders just took a step back and let the Jesus movement run its course. To fight against the plan of God is a sure fire way to fail. There are a number of fascinating points about this reported incident. Bruce Chilton would be just one of a great many scholars and commentators who point out many similar points that are often not just questionable as to even general accuracy, but evidence of purposeful manipulation of events and situations. Some in which it makes a real difference in our understanding of critical things are the contradictions between his accounts and Paul’s of the same situations. When one looks carefully at such instances in Acts, it is not at all a stretch to doubt if Gamaliel said most of what “Luke” puts in his mouth here (cf. the several well-crafted supposedly spontaneous speeches by Peter, Paul, Stephen). What else comes immediately to mind if we put minds in Jerusalem at this time, with the background of what the Gospels (including Luke’s) say had just recently happened… all the miraculous, powerful signs of earthquake, tombs broken with saints risen, thick temple veil torn fully in two, supposedly bodily appearances by Jesus, etc…. something is out of sync…. Why does Gamaliel even make such a speech, suggesting ongoing observation to see if the movement is of God? If anyone would have been “up on” the various events surrounding the crucifixion and resurrection claims it would be him! Yet he doesn’t even address all this Gospel-claimed evidence that many Christians claim has historical weight and validity. In a city as geographically small as Jerusalem and as centered on the Temple, on Jewish religion, prophesy, etc. as it was, all these events (if they occurred as described) should have been all the talk as to what God was doing. Apparently, per Gamaliel, they hadn’t happened or didn’t even speak to the issue of what God was doing through the claimed messiah, Jesus. As he had said in Acts 5: 35 and 38-39 “Men of Israel, consider carefully what you intend to do to these men.” “Therefore, in the present case I advise you: Leave these men alone! Let them go! For if their purpose or activity is of human origin, it will fail. But if it is from God, you will not be able to stop these men; you will only find yourselves fighting against God.” I think that is was both shrewd politics and experience that Gamaliel used to save these men lives. People don’t often did people back then see miracles happen. He must have seen something in Peter and James to have stopped the other Rabbis. That is my guess. Nobody here has addressed my points of Feb. 3, and I suppose that’s understandable. I don’t like to be overly forceful, and the implications of the point there, whomever it’s made by, are significant for all believers in traditional views of the Resurrection and first weeks and months of “the Church” (or following Jesus as Messiah, after his death). However, it IS important to face what the NT texts present us… not just isolate highlights. According to Luke’s own crucifixion / resurrection accounts (his Gospel), plus the others’, if one takes the “sign” events and resurrection appearances literally (as almost all Evangelicals, etc. do), it seems impossible to also take this Gamaliel account literally (along with many other things in Acts). 6) multiple individual and group appearances by Jesus to disciples/Apostles over a 40-day period (or even if shorter, 40 being a symbolic #). Had not God (according to Luke, et al) made it more than clear that Jesus had God’s unequivocal approval and had changed everything? Nor could Gamaliel have said what he did without at least offering a decent explanation, before going blithely on to suggest a wait-and-see posture! Howard, sorry I did not address your concerns! I do think it is remarkable you would (likely) say the signs surrounding the Crucifixion were created by the evangelists, but also then expect Peter to cite them as evidence for the resurrection. To a certain extent this is wanting to have your cake and eat it too! You do however bring up a serious problem, since Peter does not (in the story Luke is telling) refer to the spectacular events you list above nor does Gamalliel seem to know them (or care about them). If Luke were creating the story himself, perhaps he would have worked harder to connect the two parts of the book. I suppose this could be some evidence for two different authors, but most people who have tried to make that argument cannot sustain it against the overwhelming evidence of a single author for Luke/Acts. Part of the answer is Luke’s use of speeches as examples of the types of sermons evangelists preached in various situations, so that Acts 2 and 3 are examples of the types of sermons Peter and the Twelve typically preached in Jerusalem, while Acts 7 is a Hellenistic Synagogue sermon, as is Paul’s sermon in Acts 13. Since they are short extracts used as models, a great deal is left aside, and not everything said two months after the resurrection would have been wholly relevant two years later, let along twenty years later when Luke writes. The sermons are evangelistic and apologetic, with a heavy emphasis on explaining what Jesus’ death means in salvation history. I think I would have mentioned the apocalyptic events – but was Peter a witness to all of those things? Who knew the Veil of the Temple was torn? While he might have witnessed the earthquake, the disciples were more or less in hiding by the time Jesus was on the Cross, so being “eye witnesses” may not apply to them! Imagine if Peter did mention the earthquake or the darkness, the High Priest could simply remind Peter he was not a witness at all of the events, he was hiding for fear of being arrested himself. In addition, it does not seem to me Peter (or anyone in Acts) attempts to “prove the resurrection” via signs, they simply state “we witnessed everything.” There is no modern, rationalistic apologetic strategy in Peter’s sermon or in his defense before the Sanhedrin. Perhaps Acts 2:22 indicates Peter and the others could supplement a sermon with examples, God commended Jesus to Israel through “mighty works, wonders and signs,” the same sorts of things the Apostles continued to do in Jerusalem in the first few chapters of Acts. Still, the non-allusion to the events of the crucifixion in Acts is something I had not considered before…I need to think more about this. And as you say, who would have actually seen the torn veil? If my understanding of its location and the ritual observances is right, perhaps only the priests… but if that’s the case, at least one or more of them obviously passed along the story, or else it was made up totally, after the fact. I think the latter is much more credible and likely. However, Luke’s point, with the other Evangelists, was exactly the claim that things were in plain view, publicly. Jesus’ special, divinely ordained role and at least “exaltation” to the right hand of God (if not full divinity) was plain and evident to anyone not in rebellion against God and truth. That was the main point of the superfluous “miracles” reported as surrounding the Passion/resurrection: divine exhibition and validation of who/what Jesus had been and was. I think Gamaliel was seeing a trend in the deaths of leaders. He figured the apostles leader was already dead so they would not have as much motivation to continue to teach for much longer. In Acts 5:36-37 Gamaliel brings up other leaders that had been greatly esteemed and once they died their followers dispersed. 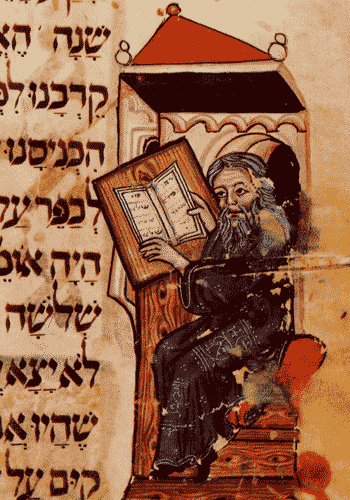 This post talks about the wisdom of Gamaliel. The post also brings up how if the apostles were being truthful God would have his way no matter what. I think Gamaliel realized this and was not going to encourage punishment from God. Part of this could be politics in the fact that he knew how to quickly appease the Sanhedrin without too much dispute. It says in Acts 5:34 that he was “honored by all.” It is clear that he had some influence in the decisions made and I think he used his power wisely in giving advice. This question is not specifically on topic, and may have been answered elsewhere, but why was Gamaliel not present at the interrogation of Stephen? Just one chapter before Gamaliel had taken control of the Sanhedrin and prevented Peter and the Apostles from being killed. Stephen’s arrest and interrogation were eerily similar to that of Peter and the Apostles, but Gamaliel is conspicuously absent. Anyone have any thoughts on that? That is a good question, and I am not sure I have really considered it before. My first thought is that the controversy with Stephen took place in the Synagogue of the Freedmen (Acts 6:9) and the accusations came from diaspora Jews (men of Cilicia and Asia). Although Acts says he was brought before the Sanhedrin, that does not necessarily mean every member was present. Perhaps the accusers were able to limit the invitation for the interrogation to exclude people who might sympathize with Stephen. They used false witnesses, and will execute Stephen in an act of mob violence (it is really a lynching). I see no reason why they would make much of an effort to make sure Gamaliel knew about the meeting! Another possibility is Gamaliel was less inclined to defend Greek-speaking Christians who were attacking the Temple in a diaspora synagogue. Aramaic speaking messianic sects are OK, but not diaspora Jews getting too bold in their condemnation of the Temple! I am more inclined toward the first possibility, FWIW. It would seem that Gamaliel thought the disciples would rise. It is possible that he might have thought they would be the next great political party, or that they would take over leadership among the council. His statements could be challenging the council, this coming from the fact that he made them look bad. That being said he realizes that this Messiah or God that the disciples believe in have been protecting them and growing their numbers. He had obviously spent time learning and thinking about the Christian movement and what the apostles are accomplishing. I believe that Gamaliel gave this advice because he had seen from two past similar instances that if the movement is led by humans and not by God, it will fail all on its own. However, he knew that if it was led by God, it would succeed no matter what. I believe that he gave this advice because he knew that if this movement was led by God persecuting the disciples would only place the Sanhedrin against God. Someone earlier made a good point that if Gamaliel had been standing up making this argument at every instance of a movement, then he would be doing this for shrewd politics. However, this is the only time recorded in the Bible that Gamaliel spoke out to the Sanhedrin. Because this only happens one time, I believe that God used Gamaliel to speak to the Sanhedrin about the position they would be in if they persecuted the disciples. He is trying to tell them that if they persecute His disciples, the movement would still continue on because it is led by God and not by man. I believe that Gamaliel gave this advice to the council because of the fact that he had witnessed two other situations like this. He had experience with this sort of thing, and he wanted to warn the others what would happen if it was truly led by humans and not by God. I think that Gamaliel knew the power of God and that he was not willing to test that out. He gave them two examples of failing people who led up a “revolt” because they were led by humans. He then goes on to state that “but if it is of God, you will not be able to overthrow them” (Acts 5:39). Because of his standing with the people, he was able to warn them about the power that God has. He basically was telling them not to worry because if it is run by humans it would eventually fail and that there are more important things to worry about. Like someone else mentioned in a comment above, this is the only time that Gamaliel speaks up to the Sanhedrin. He was able to use his position to help out the Sanhedrin because they were feeling threatened by what the disciples were doing. Because “the authorities cannot control or stand against the continuing activity or the resurrected and enthroned Messiah,” they were becoming very angry and wanted to even kill the disciples. (Jipp 58). Without Gamaliel standing up and proclaiming what he did, the Sanhedrin would be against God. I think Gamaliel gave this advice because he had experienced two other situations where a messianic movement from human origin had failed. He knew what would happen if man tried to go against God and he wanted to warn the church leaders what would happen. Gamaliel brings up two men by the names of Theudas and Judas who tried to revolt and failed because their attempts were of men and not of God. He even warned them by saying that if the revolt was of men, it would fail and go away, but if it was of God then they will not be able to overthrow them and that they might even be accused of going against God (Acts 5:38-39). There is more to the story than that of “shrewd” politics. Gamaliel is warning the council what will happen if they go against the disciples and even possibly going against God. I think that the advice from Gamaliel comes from a place of fear. He saw what it was like when there were these clouds that came and he was coming from a place of experience seeing how he has gotten himself into some sticky situations of the past. I also feel that it can come from a place from a fear of God (5:39).Overall, I think the advice comes from an ultimate place of fear and paranoia, and whether the force that would give them trouble would be God or a group of people, I think overall he doesn’t want to deal with that force. I personally really like this story because it gives an example of thinking before you speak, or in this case act. I wish we could examine Gamaliel’s life from a closer lens, but unfortunately we do not have much more information that what we find in Scripture. Others texts dated to that time state the renown of Gamaliel, but we do not get a lot of back story. Thus far, many of the religious leaders have acted from emotion and pride rather than addressing the issue respectfully. Gamaliel takes a stance that allows for God to work. Not that God needs his permission, but it seems that Gamaliel shows some faith, or at least trust in God’s divine power. This is not to say that he believes the apostles, but it does show that his heart is not completely turned off or hardened. I would like to think Gamaliel says this because he might have had doubts as to whether or not Jesus was the messiah. And in addressing the crowd he did not want to make the same mistake twice. This is speculation, but in light of what has happened in the region the past few months, Gamaliel must be curious to see what happens to these Jesus followers. Gamaliel is an interesting figure. He appears to be very well respected and heeded in Jewish circles. He is a devoted follower of God and seems to have something that the other religious teachers don’t. I think that factor may be the Fear of the Lord and open-mindedness (Prov. 2:1-6, 9:10, Acts 17:11). In a previous post you had mentioned that the religious teachers were filled with jealously and envy (Matt. 27:18, Luke 6:11, Acts 5:17, 13:45 etc.). Gamaliel does not appear to carry this kind of jealously or envy, rather he seems to be prudent, slow-tempered and weighty with his words. Interestingly, you can make the point that this is almost how we perceive Jesus to be when we read His narrative. Regardless, Gamaliel displays a reverence to God and others acknowledge that. “Gamaliel’s advice was sound and yet also a bit ironical. Already his counsel was finding fulfillment—in the growing Christian community, in their signs and wonders, in their escape from jail just the night before. It had become obvious whose side God was on. Already the Council were finding themselves fighters against God ” (Polhill Acts pp. 173-174). Maybe Gamaliel secretly knew this was of God and just didn’t make that known. It should have been plainly obvious that the signs and wonders these apostles were doing were witnessing the Lord’s will. Just a chapter later, Jews from Cyrene, Alexandria, Cilicia, and the province of Asia debated with Stephen (Acts 6:9). They could not beat Stephen in this debate and therefore made up lies of him and found himself getting stoned in chapter 7. Was Gamaliel’s advice ignored? The jealousy and envy in these Jews supersede the truth (Rom. 1:18-32). Gamaliel’s could have blatantly stated It was God’s will for these Jews to leave the followers of Jesus alone and they still would have kept persecuting them. Yet, Gamaliel knows that would be the case and uses good wisdom to have them think for themselves. Ultimately, Gamaliel knew that God accomplishes His purposes (Isa. 46:10). He knew that God knows the future before it even happens, everything that God has planned will come to pass so why fight God? Gamaliel is a very interesting character in the Biblical account. It seems that he was not just a Pharisee, but a well known leader in the community (Acts 5:34). He is held in high honor, and has considerable influence. This can be deduced from the fact that the Sanhedrin was predominately Sadducees, and Gamaliel was a minority Pharisee who was able to persuade the majority toward the release of the apostles. Gamaliel’s response to the Sanhedrin to allow the apostles to go free is most definitely an interesting remark considering that so many were opposed to Peter and the other followers of Christ at the time. However, there is more to this statement than simply shrew political maneuvers by Gamaliel. We know from later accounts in the works of Luke that Gamaliel was the instructor who raised Paul (then Saul) and taught him probably all that he knew (Acts 22:3). As a side, the excellence and honorable standing of Gamaliel probably transferred in some extent to Paul later in life and may be part of why Paul was such a great thinker and debater. We know that the entirety of the Sanhedrin seemed to be enraged by Peter’s preaching initially (Acts 5:17), and that Saul/Paul would later be persecuting Christians and killing them “to serve the Lord” supposedly (Acts 8:1). Both of these situations paired with the fact that Gamaliel was held in high honor seem to indicate that Gamaliel was not in favor of political compromise, but rather that he actually had a spiritual motive for not persecuting Peter and others. His reasoning that the Sanhedrin might not accidentally “oppose God” is a legitimate concern. The other two messianic pretenders mentioned (Acts 5:35-39) are just a couple of many who had tried to rise up against Greek and Roman rule but had been dispersed. Gamaliel actually seems to be offering great advice to the other council members that God’s will will be done regardless of their own actions against Peter, and that they would not want to find themselves opposed to God. It seems to me to appear as legitimate wisdom from Gamaliel (though he may have still opposed the disciples in principle), and not political statements to appease his fellow council members. I think Gamaliel was speaking to the Sanhedrin council. Gamaliel was a Pharisee so that means he was a teacher of the law, and probably knew everything about the law. So here Gamaliel is sitting in this council after either watching what happened or was told about it. He is sitting in on this council in (Acts 5:28) the High Priest says to Peter “we gave you strict orders not to teach in this name”. Then he goes on to say something like Hey you’ve been teaching that the messiah came, and we killed him. And now you’re trying to say we killed the messiah, and make us guilty for killing this Jesus guy. And then Peter speaks up and says “We must obey God rather than men (v.29).” Peter goes on to say how God raised Jesus to life after the High Priests killed him on a tree. God not only raised Jesus from the dead but exalted him as Prince and Savior that way he can give forgive sins. Now scripture says that the Sanhedrin upon hearing this became furious (v.33), and wanted the apostles killed. That’s when Gamaliel stood up and ordered the apostles to leave for a little while (v.34). In the last chapter Peter was speaking boldly to the Sanhedrin (Acts 4:13), and scripture says that when the Sanhedrin saw that Peter and John were unschooled, ordinary men they took note that they were with Jesus. So after the apostles leave the room Gamaliel gives a small speech. He pretty much tells them think about what you are going to do to them. He then goes on to talk about other people came forward claiming to be the messiah, but were just fakes. Even though they had a large group of people with them when the leaders were killed their followers scattered and nothing happened (v.36-37). “Therefore, in the present case I advise you: Leave these men alone (Acts 5:38).” He then goes on to say Let them go! and that if what they are saying is true then they cannot be stopped, because the Sanhedrin would be going against God. But if these guys are claiming something that isn’t true then it too will fail like those before them. “His speech persuaded them (5:40).” So the Sanhedrin flogged the apostles and told them not to teach in that name again. Now after all of this, it brings me back to my opinion, about Gamaliel talking to the Sanhedrin and not the apostles. First off he couldn’t have been talking to the apostles because they were not even in the room when he gave his speech. The second reason I think this is because the way Peter spoke in the last chapter and in this chapter shows he has the courage to stand in front of the religious leaders of his day and debate with them theology, a subject he was never formally taught like the religious leaders were, taught by Rabbis themselves. I think Gamaliel knowing the scripture might have been thinking to himself that what Peter was saying might be true, because if not, then why would an unschooled fisherman get into a theological debate about something he would not have any formal training in? Especially against the leaders who could have them killed for heresy and blasphemy. The first thought that I remember having about the character Gamaliel that he was reflecting the idea of being quick to listen and slow to speak. His advice was to take a step back from the immediate situation and really think things through before a rash decision had been made. I never thought much about how the fact that he brought up other people who claimed to be someone played into how the point that there might just be something real behind what they were saying and why it was spreading. But, also the fact that his statement was not just for the Sadducees but also for Peter and his followers that if they are wrong it will be God that they have to face in judgement of what they are doing. But, I liked what the point behind what he had to say was: that if God has really ordained it then even if the council was to execute Peter and John, that preaching about who Jesus is would not stop with them. God would just use another person or find another way to share the word about who Jesus is, because no matter how much they wanted to, they would not be able to find anything within their power to bring an end to what they were preaching. I must say, I am one of those Christians that tended to think of Gamaliel’s words as a warning to the Sadducees. In all of reality, it was probably directed at both sides. However, the apostles knew that Jesus was risen. They had faith in God that what they were doing was right. On the flip side of this warning though, the Sadducees had to have been shaking in their boots, or whatever footwear they wore during that time. IF they were right, and this Jesus was some rebel guy that had a following and died, there would be no problem. The apostles would eventually dwindle down and die off. Eventually the Sadducees would be proven right, end of story. But, if they were wrong, it means they were really wrong! As you said, they would essentially be fighting God. Granted, it was a part of his plan for Jesus to die on the cross so that had to be done. However, they heard, and therefore that the opportunities, to repent of that once the apostles started preaching the good news. Gamaliel might not have publicly announced faith in Jesus, but it seems likely from this warning that there was at least some inkling of him not wanting the other Sadducees to be right. The man was wise—and the faith in Christ DID NOT FAIL! May I reblog this and other posts of yours? Sure, I do not mind. MR. G. WAS WISER THAN HIS ASSOCIATES COULD EVER KNOW!